In recent years diversity and its management has become a feature of modern and postmodern organizations. Different practices have spread around the globe focusing on the organizing and management of inclusion and exclusion of different groups such as men and women, heterosexual and homosexuals, persons with different racial and ethnic background, ages, and (dis)abilities. However, although increasingly recognized as important, the discourses of diversity are multifaceted and not without controversy. Furthermore, diversity management practices have the potential to reproduce both inclusion and exclusion. 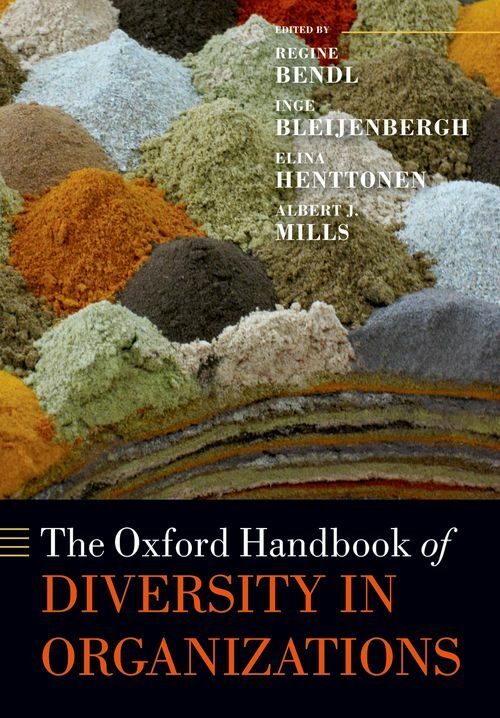 This book presents the foundations of organizing and managing diversities, offers multidisciplinary, intersectional, and critical analyses on key issues, and opens up fresh perspectives in order to advance the diversity debate. The contributors are a team of leading diversity scholars from all over the world. 13 Sandra Groeneveld: Explaining Diversity Management Outcomes - What Can Be Learned From Quantitative Survey Research? Albert J. Mills is the holder of the 2008 Saint Mary's University President's Award for Excellence in Research. He is an Associate Editor on four journals (Gender, Work & Organization; Qualitative Research in Management and Organizations; Organization; and the International Journal of Work Innovation) and he serves on the editorial boards of several other journals (including Equality, Diversity and Inclusion; Management & Organizational History; the Journal of Management Education; Journal of Workplace Rights; Tamara - journal of postmodern organizational science; Management Decision). ; Inge Bleijenbergh is an associate editor of Gender, Work & Organization. She received two EU FP7 grants in the field of gender and diversity in academia: STAGES (Structural Transformation to Achieve Gender Equality in Science (2012-2016) and EGERA (Effective Gender Equality in Research and the Academia (2014-2018). ; Regine Bendl has received a number of professional awards, including the Kathe Leichter Award for Women's and Gender Studies 2006, a Best Paper Award EURAM 2007 (stream gender equality and diversity in management) and an Emerald Highly Recommended Paper Award 2009 and 2013. She is Convenor of the EGOS Standing Working Group of Gender and Diversity (2010-2016) and she is editor of Equality, Diversity and Inclusion - an International Journal and Diversitas - Zeitschrift fur Managing Diversity und Diversity Studies. She is an editorial board member of Gender in Management - An International Journal and the British Journal of Management as well as associate editor of Gender Work and Organization. ; Elina Henttonen (Researcher, Aalto University School of Economics, Finland) does research on gender and small business, gender and technology, and gendering of professions. She has published her work in refereed journals and scientific books, and teaches courses of gender and organizations and qualitative methods. She is a member of the EGOS Colloquium 2012 organizing committee. The price listed on this page is the recommended retail price for Japan. When a discount is applied, the discounted price is indicated as “Discount price”. Prices are subject to change without notice.